An administrative post. A new (as of yesterday, 9/28/18) abbreviated About page points here [About]. This page contains previous & expanded introductory information. I was a freelance writer who wrote, photographed, or edited for anyone I could talk into paying me. 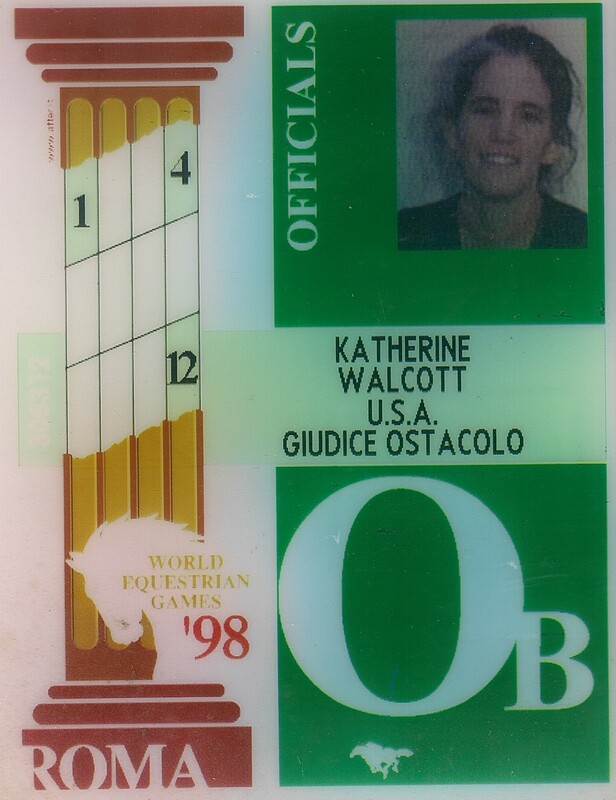 While my mainstay for 20+ years was equestrian journalism, I covered everything from Atrial Fibrillation to Zoos. I still do a bit of work, but my professional life quieted downed in 2008. Greg. Husband. Farmhand. Mechanic. Medical Advisor. Vet tech. Groundperson. Jump crew. Fence repairman. Driver. All-around awesome individual. Rodney’s Saga is a daily blog is about my two horses, along with other horse-related activities in my life. The first post was December 22, 2011 [We begin. Again.]. The blog began as a column, Back to Eventing, written for the USEA website. I wrote it for nine months before they changed their emphasis. Then, I continued it on my own as Back to Riding [Reposts]. As an experiment, I consolidated the monthly Back To Riding and weekly Facebook into the daily Rodney’s Saga for a year. Once the year was up, I kept going [Where Do We Go From Here?]. After that, the blog proceeded to the present, broken up by the with the occasional snit. [A Sea of Statistics]. Props to Can I Have A Pony? : My Horsey Past for the idea of posting a link to the start. Unless I change my mind. Some schedule days are carved deeper into stone than others. Saturday. Writing projects. State of the Blog post on the last Saturday. Sunday. Book lettering project [Letter Art: AlphaBooks 2017]. First complete book alphabet was 2017 [Letter Art, AlphaBooks: Recap 2017]. Also stamps [My First Stamp Show] or other bits of unrelated design [You Know You Have Fallen Down The Lettering Rabbit Hole When …]. Sunday started as straight up lettering. Title switch [Definitions of Terms]. The entire subtitle edifice is getting cumbersome. From now on, I will only subtitle posts that pertain to a specific sub-plot. At the moment that means: Adventures in Saddle Seat, Driving/Jumping Thursday, Photography, & Graphic Design. Unless the content is obvious from the title, e.g. Foto Friday for photography. Generalized horse posts & Milton/Rodney posts will stand on their own. All the luck! I hope u stay here for long! Excited to see more.